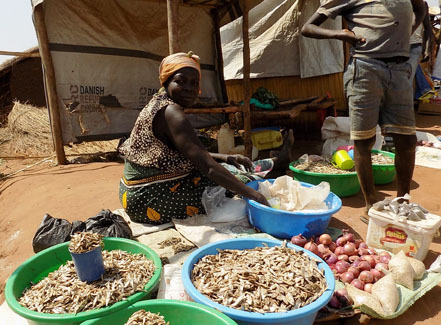 In a bid to fight immorality and the rampant girl-child marriages and pregnancies in Aromo Sub-county, the leaders of Lira District have scrapped the name of one of the most popular markets called Moo cwari that literally in Lango means “search for your husband”. The District Chairman, Alex Aremo Alot has also called on the Aromo Sub-county Council to come up with a by-law where anyone found referring to the market as “Moo Cwari” should be given a fine of 20,000/=. There has however been mixed reactions from the residents of Aswa village in Apuce parish where the market is located. Ambrose Eku, one of residents told Radio Wa that the scraping of the market’s name will not help to reduce the pregnancy rate of under aged girls unless the parents take up the role and responsibility of guiding their children seriously. Eku said scraping of the name “Mo-Cwari” market will also affect their business as most of the people within and outside the area easily identify the market by that name “Mo-Cwari”. The rate of girl-child pregnancy became one of the challenges the Sub-county of Aromo is faced with after emerged that 25 girls from Walela Primary school dropped out of school due to pregnancies.